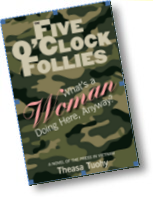 This second edition paperback of this popular book comes 20 years and three printings after the hard cover of Maude was first published in 1996. 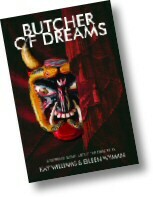 It includes additional material and revisions that author Mardo Williams wished to make, historical details and several new appendices, as well as twice as many photos. Former newspaperman Mardo Williams eloquently parallels his mother's life with the emergence of modern-day America. Experience her remarkable life and times in this critically acclaimed book, Maude (1883-1993): She Grew Up with the Country. 21 delightful stories, rooted in humor, wonder, and love. For ages five and up. Morgan, 89, moves in with Dixie, 79. Strictly a business arrangement, both maintain, but Morgan has more frivolous pursuits in mind. An intruder from Morgan's past catalyzes their lives, dredging up secrets, revealing lies. Lee Fairchild has realized every actor's dream--a theater of her own. The dream is about to turn into a nightmare. Who--or what--lives on the third floor? What’s A Woman doing Here, Anyway? A young woman's odds-against struggle to survive as a war correspondent in Saigon. Former journalist Tuohy has written what may be the best novel yet to emerge from the Vietnam War. 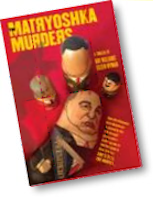 The Matryoshka Murders is a love story wrapped in a mystery concealed in a thriller. WINNER! The Montaigne Medal, awarded by the Eric Hoffer Awards to the most thought-provoking titles of the year.